Our Local Support Program reverts part of the resources obtained with the collection of used clothing and footwear to the entities and municipalities where we are present, collaborating in helping disadvantaged groups. Clothing Support Voucher are part of this local support program. 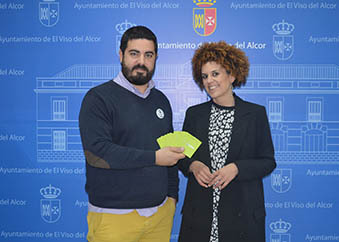 The vouchers have a value of 30 euros each and allow free acquisition of clothes in secondhand stores that we have in Spain. Its distribution among families with few resources is carried out through our public and private collaborators, either directly or through the support of other social entities. In 2017, we delivered 2,054 Help Vouchers to a total of 93 municipalities and companies. By geographical areas, the distribution was as follows: 395 vouchers in Andalusia, 941 in the Madrid-Centro area and 718 in Catalonia. This figure represents an 80% growth compared to 2016 and reflects our growing commitment to society. So far this year, we have delivered more than 900 Help Vouchers.